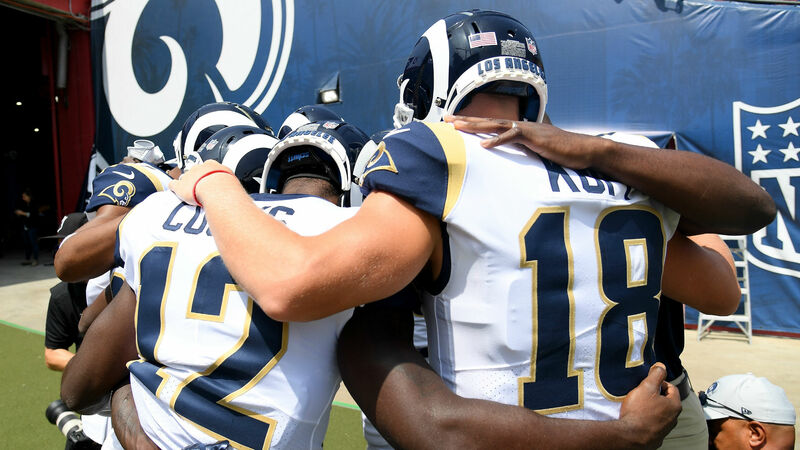 The Rams were in jeopardy of losing two of their top targets for a Week 6 matchup against the Broncos, but wide receivers Brandin Cooks and Cooper Kupp have cleared concussion protocol ahead of Sunday’s game. The two were sidelined during Los Angeles’ 33-31 win in Seattle and have progressed through the protocol this week. Kupp notified the team’s training staff at halftime against the Seahawks he didn’t feel right after sustaining a hit to his head inside the two-minute warning. He was placed in concussion protocol after the hit. “Been able to go through this week and move through the protocol here, and (I’m) just being smart about making sure that I’m 100 percent,” Kupp added. “I wouldn’t be out there if I wasn’t for sure I was 100 percent. Both Cooks and Kupp have been key playmakers in the Rams’ top-ranked offense. Cooks has caught 26 passes for 452 yards and a touchdown, while Kupp has 30 receptions for 438 yards and five touchdowns.